It's important to feel good about your swing before you go to the plate. Feel Good Hitting is a private facility with an emphasis on developing positive mindsets and mental toughness when it comes to hitting. Regardless of a client’s age and experience, I help them to focus on understanding constants and variables, as well as the fundamentals and styles of hitting. I train my clients to become complete hitters from the moment they step into the batter’s box. I come to Carmel, IN with 15+ years of coaching experience. I work with all levels from middle school to high school, with a specialty in college and professional players. Prior to moving to Indiana, I spent the last eight summer seasons with the Orleans Firebirds, a premier college summer program, as the team’s primary hitting coach. During my time with the Cape Cod Baseball League I have mentored and coached Matt Duffy (Tampa Bay Rays), Conrad Gregor (Boston Red Sox), Jordan Luplow (Pittsburgh Pirates) and numerous other notable players who I continue to work with during their off seasons. A native of San Diego, I spent the first 3 years of my collegiate career as a switch-hitting outfielder for the UCLA Bruins before transferring to Loyola Marymount for my senior season. I was selected in the 19th round of the 1997 Major League draft by the Cincinnati Reds and played for its Burlington Bees affiliate. I later joined the Houston Astros Kissimmee Cobras minor league team. I have also played for several independent teams and homered from both sides of the plate in the same game three times. During my professional career, I accumulated 108 home runs over 10 seasons. I began my coaching career at Cal State Los Angeles, and was the hitting coach at Grossmont High School for two seasons, reaching the CIF finals in both years and winning the title in 2010. We've teamed up with Upper Hand to assist with all of our scheduling. To learn more and sign up on the platform, please contact us! 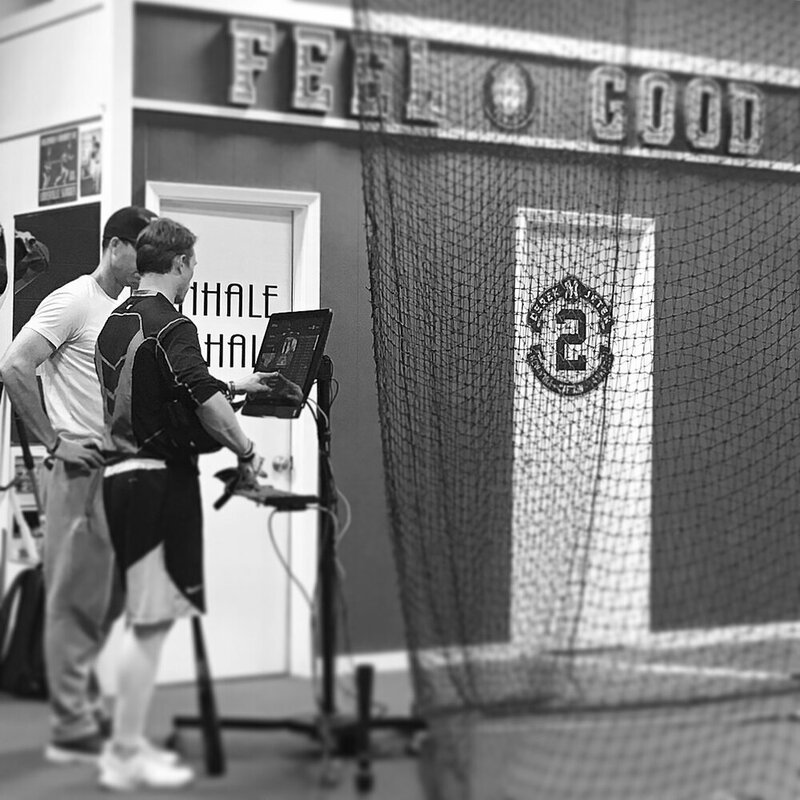 HitTrax™ is the first and only baseball data capture and simulation system that provides the powerful combination of performance metrics and entertainment value. Using patent pending technology, HitTrax measures and displays real-time data in a manner that is bringing the baseball industry to the next level. Players are further engaged, training is greatly enhanced, and indoor facilities gain additional revenue streams. HitTrax Video Capture and Analysis With the HitTrax VCAM (Video Capture and Analysis Module), each swing is automatically recorded and cataloged with the corresponding hit/pitch data - enabling true “cause & effect” analysis without any post-session editing needed! Focus on specific parts of the strike zone, compare high speed video side-by-side, and show swing evolution over time. Now players can get immediate feedback on how a small change to their swing can make a big impact.